As an international corporate finance network, ICFN works through local experts connected globally. They excel in their regions due to top-quality executive services and local networks making them the first choice partners. ICFN provides a platform for networking, cooperating and exchanging knowledge internationally. Asia21 Corporate Advisory is advising entrepreneurs, enterprises and institutions who want to know about and be active in Emerging Markets, especially Asia. With our experts and competent cooperation partners we develop a customized Asia strategy with you and help to implement it. With our longstanding experience and contacts we enable you to make the right decision. Besides planning and developing strategies we also offer cost-optimized project management and efficient operative support. Asia21 also provides Asia Asset Advisory – advice to private and institutional investors on investing in Emerging Markets, with special focus on Asian Capital Markets. Services include advisory, portfolio management and development of structured investment products. Shade Capital is an independent investment advisory firm that provides disciplined, and result oriented services in investment banking, portfolio management and strategic investment solutions to both private and institutional clients. A reputation of excellence coupled with highest standards of service delivery with quality and ethics has led to continued success over the last two decades. HIRT&FRIENDS is a global management consultancy that helps its clients to dramatically improve individual and organizational effectiveness and results in the fields of Strategy, Corporate Finance/M&A, Organizational Development/Change and Executive Performance. SAXO is an independent Corporate Finance advisor focused on Mergers & Acquisitions, growth financing as well as dealsourcing and investment management services for private equity investors. SAXO advises mid-sized companies with typically up to 50 million € turnover with an industry focus on IT services, software, communications/electronics/hardware, internet/e-commerce as well as cleantech. STUDIO ALBERTI is an auditing and tax consultancy company based in Bolzano providing advisory services to national and international companies on taxation, legal and financing issues including company and project financing and cross-border M&A transactions. STUDIO ALBERTI has long-standing experience in supporting non-Italian companies in establishing a presence or expanding into Italy. Working languages are German, Italian and English. CNA – Corporate Finance, S.A. (CNA-CF), established in 2012, provides specialized financial consulting services, with focus on M&A transactions. A group of shareholders, comprising leading figures in the academic and business areas and a multidisciplinary team with more than 30 years of experience in financial consultancy and corporate finance, provide tailor-made solutions and services covering all main M&A phases, both on the buy and sell side. Through a deep knowledge of Portuguese SMEs, in various industries, CNA-CF helps its clients to find optimal solutions to address the challenges of the current global and fast-paced business environment. FACTOR is an independent Corporate Finance advisor focused on Mergers & Acquisitions with wide ranging experience in the field of acquisitions, mergers, buy in and buy out operations, business valuation and debt advisory. FACTOR advises mid-sized companies on either buy- or sell-side. The strength of FACTOR lies in the fact that we manage the entire process in a proactive way, from initial orientation (dealsourcing) to the ultimate transfer of ownership (dealclosing). Baum Partners is a Legal and Corporate Advisory firm, specialized in Corporate Law and M&A, focuses on Legal, Tax and Financial Advisory to middle-size industrial companies operating in Spain and overseas, and assists foreign Companies in their establishment in Spain. The team has a wide experience in cross-border deals and in raising funds for start-ups and entrepreneurs, in both industry and technology based projects. London based management consulting firm specializing in Deal Origination & Business Development services for Private Equity Groups, Family Offices, Corporations & Ultra High Net Worth Individuals with emphasis on enterprise software, media, automotive, consumer / retail, healthcare and education companies. 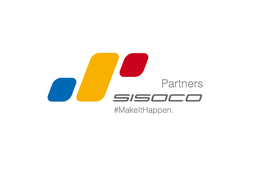 Sisoco Partners delivers strong commercial strategy and financing consulting services for growing global businesses reaching inflexion point of the company's development. With deep links in the City of London, Wall Street and other key capital market centers, Sisoco is your partner for growth. Alcon Partners is a buy-side advisory firm that helps private equity firms and corporate M&A departments source highly qualified investment and buyout opportunities. By expanding the network and reach of our clients, Alcon Partners provides an outsourced business development office with a nationwide reach. The team has a unique blend of entrepreneurial, operational and financial expertise, combined with a wealth of deal experience. Elit Capital is an independent firm, specialized in Mentoring in Capital Transformation, focused on Strategy, Finance and Corporate Transactions. It acts in the execution of Acquisitions, Divestments, Total and Partial Disposal of Equity Interest, Capital Raising, Investment Funds, Alternative Investment Placements and Joint Ventures, leading the Transaction and providing the necessary support throughout the process. KeyCapital Financial Advisory offers specialized consultancy for medium-sized and large companies. KeyCapital has over 20 years of experience in Investment Banking with relevant participation in major business of M&A (Merger and Acquisitions) and Corporate Finances at Banedwards and Banchile Financial Advisory Services, Banchile Citibank and, now independently, KeyCapital, which positions them as a Senior team in the areas of business and market analysis with successful results for their clients.